Airtime Media has had a payout of over $65 million in media checks. How? We help stations monetize their unsold inventory by providing them with TV commercials to fill time that would otherwise go unused. Don’t eat the costs of unsold ad space. Let the experts at Airtime Media make the most of this time by providing you with TV commercials that do double duty. 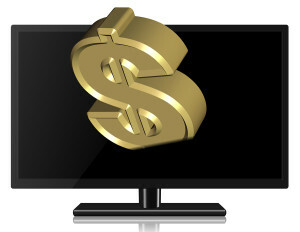 Aside from filling inventory, our TV commercials are also direct-response, which means you get credit for all leads your station generates by airing the ads. We even provide you with a weekly email report and a monthly payment recap that allow you to track your revenue simply and quickly. Cash in on the millions Airtime Media brings in in media checks. Contact us online or call us today at (888) 373-8463 to learn more about what our industry experts can do for you. We look forward to a long and fruitful partnership.